A DECADE after the urgent need for five Huntington’s Disease co-ordinators in Northern Ireland was identified in a report – at least 48 patients with the rare brain condition have no access to the specialist support because of where they live. In Northern Ireland 118 people are known to have the incurable hereditary disease. However, the postcode lottery means just people living within two of the five health trusts, effectively covering the greater Belfast area, can be seen by Northern Ireland’s only specialist Huntington’s Disease (HD) nurse. 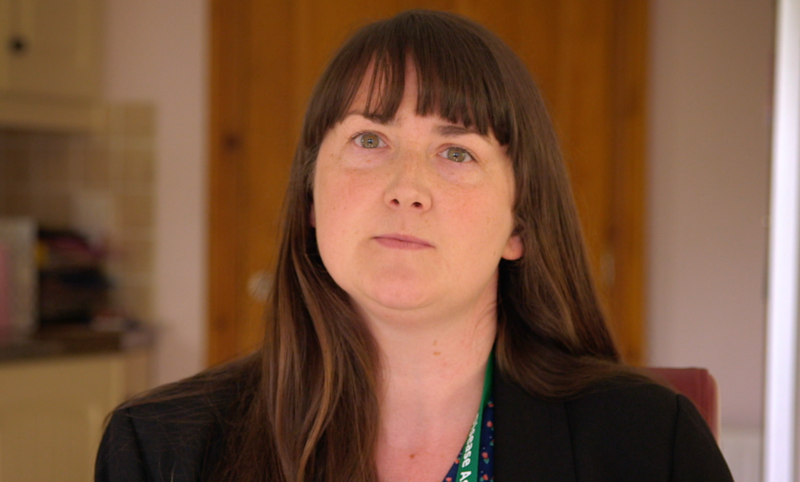 Sorcha McGuinness from the Huntington's Disease Association Northern Ireland explained that in the advanced stages of the condition, people usually require 24-hour care. "They won't be able to move or to speak. Some people won't be able to swallow so they'll be reliant on tube feeding. It's a very devastating disease." The HD nurse plays a key part acting as a link to services including mental health, neurology, GPs, social services, occupational therapy and speech and language and also provides medical training to professionals involved in caring for people affected by HD. The HD nurse also reviews the complex mix of medication a patient may have to take and advises GPs and pharmacists. South Eastern HD patients are referred to the Belfast Trust’s specialist nurse and that cost is covered by the Health and Social Care Board. But HD patients living in the Western, Northern and Southern health trust areas have no access to a HD specialist nurse. One of those patients is Simon Clark, 45, from Derry/Londonderry. He explained: “At times like now when I am really struggling with HD....I would like to go to someone but there’s no one there. “I think it’s disgusting to be honest. It’s wrong – why should we be penalised? The findings come as the Huntington’s Disease Association Northern Ireland (HDANI) holds its annual conference today (Friday October 6) in Belfast’s Duncairn Arts Centre. Sorcha McGuinness, chief executive of HDANI, said families were being “put at risk” because of the inequality in care. To read the stories of people in Northern Ireland living with the disease, click here. A HD care advisor post has been vacant for around 16 months. Six months after the Department of Health Permanent Secretary contacted the Belfast Trust and the Health and Social Care Board to ask them to renew their efforts in recruiting a social worker for the above post – it remains unfilled. The Northern, Western and Southern Trusts have no plans to recruit a HD specialist nurse in 2017/18. Staff shortages in the Belfast Trust area have resulted in more than eight months delay for genetic counselling - patients at risk of HD have to undergo counselling before they can be tested for the disease. Huntington’s Disease is a rare genetic disease affecting just 12 people per 100,000 – with Northern Ireland’s 1.8 million population that would indicate approximately 223 people here have HD. It affects men and women equally. As children of people with the disease have a 50% chance of inheriting HD, some families have multiple members affected by the debilitating condition. Two men we spoke to, who have lost their mothers to the condition, have both tested positive for HD. They both have children. Mickey McNulty, 42, from Co Tyrone has already had five family members die from HD. “It is just riddled through the family – it’s a terrible thing,” he explained. The Huntington’s Disease Association Northern Ireland (HDANI) – the only voluntary organisation working with HD families - is currently supporting 94 patients already diagnosed with HD as well as another 216 people who are at risk of developing HD. However, it is not known exactly how many people in Northern Ireland have the disease or who are at risk of developing it, as it is a complex, rare condition that is difficult to diagnose. Many people also delay or choose not to be tested. According to HDANI only 15% of people who know they are at risk go for the predictive blood tests. Although it can be determined if you have the faulty HD gene, there are no tests to accurately indicate when the condition will develop. Onset usually occurs between the ages of 30 and 50. 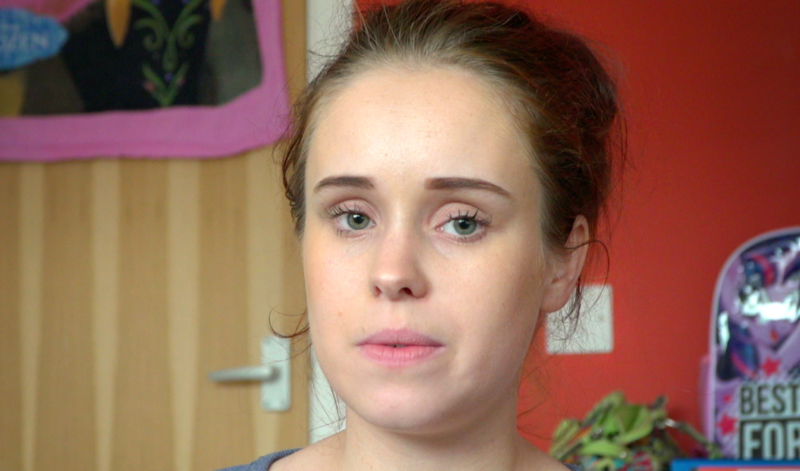 One of those people who has not yet undergone testing is Laura Clark, 23, from Derry whose father has HD. The only place in Northern Ireland which offers HD testing is the Regional Genetics Service at Belfast City Hospital. There are currently patients waiting 33 weeks for referral to the genetic counselling service. We asked Belfast Trust using FOI legislation for figures on the number of people who have been tested for HD and a breakdown of positive and negative results. The trust refused to release these figures stating “the numbers are small and we risk identifying family members to other family members who have significant results”. They did reveal that 70 patients are under the care of the HD specialist nurse – 46 of those from the Belfast Trust area and 24 from the South Eastern. But new data from HDANI shows there are at least 18 HD patients living in the Western Trust area, 18 in the Northern Trust and 12 in the Southern Trust – who have no access to a HD specialist nurse. Though, the true number could be higher as these are only the patients who are engaged with the charity. The three trusts – Northern, Southern and Western - all confirmed they did not have a specialist nurse for Huntington’s Disease and have no plans to recruit one. They added that patients had access to local neurology services and could be referred to the Regional Genetics Centre in Belfast, which provides testing and counselling services. However, HDANI explained that general services such as GPs, neurologists, community mental health and occupational therapy often have limited knowledge of HD and need specialist input, which is currently not available. Mickey with his son John, wife Moira and daughter Annie. Photograph by Lorcan Doherty. One of those patients is father-of-two Mickey McNulty from Gortin outside Omagh who inherited HD from his late mother. “There is a HD nurse in the Belfast Trust and I don’t think it’s really fair that if you live west of the Bann that you can’t get the same facilities as everybody else. HDANI provides 2,000 hours of annual support across Northern Ireland to HD patients, families, carers and professionals. It receives no government funding. Having faced an uncertain financial future without hope of support from the government the charity cut back its services and placed staff on protective notice in May 2017. However, HDANI was thrown a lifeline in August when funding applications from The Big Lottery, Ulster Garden Village, Garfield Weston and Cash for Kids were deemed successful. "This along with increased fundraising from our families and generous donations from individuals was enough to secure and indeed expand our services for the next three years," said chief executive, Sorcha McGuinness. The head of the voluntary organisation has hit out at the lack of progress with the Northern Ireland Needs Assessment - Huntington’s Disease, a key report which was published in the autumn of 2007.The head of the voluntary organisation has hit out at the lack of progress with the Northern Ireland Needs Assessment - Huntington’s Disease, a key report which was published in the autumn of 2007. The working group which included Professor Patrick Morrison, a consultant in clinical genetics; Majella McConville, a Huntington’s disease co-ordinator and Dr Gavin McDonnell, a consultant neurologist recommended the immediate appointment of five Huntington’s Disease co-ordinators to work as a team across Northern Ireland – as part of a wider specialist team. Ms McGuinness explained: “It has been almost 10 years since that initial needs assessment was conducted. It was very thorough, very comprehensive, involved research and input from multidisciplinary teams including patients and their advocates and it’s a disgrace that it’s been shelved for the past 10 years. Both the Department of Health and Health and Social Care Board said work was ongoing to improve care for patients with neurological conditions including Huntington’s Disease. To see the questions we posed to the Department and HSCB and their full responses click here. Detail Data spoke to the head of Scottish Huntington’s Association which works in partnership with government to fund specialist HD posts – of which there are currently 20. There are 1,100 people with HD in Scotland. The role of the HD specialist is to assess need, coordinate care, train, educate and advocate on behalf of HD families. They are employed through joint funding from NHS Boards, Health & Social Care Partnerships and the Scottish Huntington’s Association. Commenting on the situation in Northern Ireland, John Eden, chief executive of Scottish Huntington’s Association, said: “It is extraordinary, in a modern health care system that a group of patients have been left without basic and fundamental support. "Huntington's disease is arguably the most severe of the progressive neurological conditions. It causes severe motor changes (loss of speech and swallow), impaired cognition caused by a type of early onset dementia and mental illness; difficult enough, but the family impact is deepened because it is a genetic condition. “The condition exists in a vacuum of silence in which families have struggled with isolation, lack of access to support and frequently huge personal tragedy. “Like many rare diseases, little is known about it and health and social care services are frequently confounded by its complex and sometimes challenging presentation. In contrast, there are no HD nurse specialists in the Republic of Ireland. The Huntington’s Disease Association of Ireland (HDAI), which receives government funding, said there are approximately 700 people with HD in the Republic and a further 3,000 at risk. Patricia Towey, information and services co-ordinator with HDAI explained: “Neurology services in general are severely lacking in Ireland. There are long waiting lists for a neurologist, not every neurologist has a multi-disciplinary team attached to their services. We have one of the lowest ratios of consultant neurologists in Europe. “This lack of investment and resources for neurology services has a greater impact on patients with less prevalent conditions. For example, there are no dedicated clinics or Huntington’s Disease nurse specialists in Ireland. In Northern Ireland and elsewhere the HD nurse specialist works as part of a multi-disciplinary team alongside neurology and genetic services. A second HD post in Northern Ireland has been vacant since around May 2016 despite a personal intervention by the most senior civil servant in the Department of Health. Six months later that post remains vacant. Belfast Trust told Detail Data the post had been advertised, however there were no suitable candidates at the last interview in April. They added that “it was currently out for recruitment”. In his March correspondence Mr Pengelly also told the HDANI chief “I do not feel a meeting at this time would prove beneficial” following her request for an urgent meeting to discuss services for those impacted by Huntington’s Disease. But goes on to state “in the meantime those diagnosed with Huntington’s Disease continue to have access to the full range of core community health and social care services across Northern Ireland”. The head of the charity has also criticised the lack of progress with the Northern Ireland Implementation Plan for Rare Diseases which commits “to address the needs of people living with the impact of a rare disease regardless of ...where they live”. And it further commits to “promote equity of access” and “offer a patient-centred, coordinated approach to treatment services, specialist healthcare and social care support which takes into account the needs of patients, their families and others who provide essential support”. To access the data click here. To read the case studies in full, click here. HDANI works throughout Northern Ireland providing support, information, advice and social connections to those living with the impact of Huntington’s Disease. They run regional support groups, provide telephone and face to face advice and support as well opportunities for families to connect through events and befriending services. To contact the charity go to www.hdani.org.uk or email [email protected] or call 028 2177 1812. The nurse plays a key part acting as a link to services including mental health, neurology, GPs, social services, occupational therapy and speech and language and also provides medical training to professionals involved in caring for people affected by HD. The HD nurse also reviews the complex mix of medication a patient may have to take and advises GPs and pharmacists. South-Eastern HD patients are referred to the Belfast Trust’s specialist nurse and that cost is covered by the Health and Social Care Board. One of those patients is Simon Clark, 45, from Derry. The findings come as the Huntington’s Disease Association Northern Ireland holds its annual conference today (Friday October 6) in Belfast’s Duncairn Arts Centre. Sorcha McGuinness, chief executive of the Huntington’s Disease Association Northern Ireland (HDANI), said families were being “put at risk” because of the inequality in care. A new HD care advisor post has been vacant for around 16 months.